Jaded Blossom: For the Captain of my Heart! With all the fun Valentines stuff out, how can you not get in the spirit. 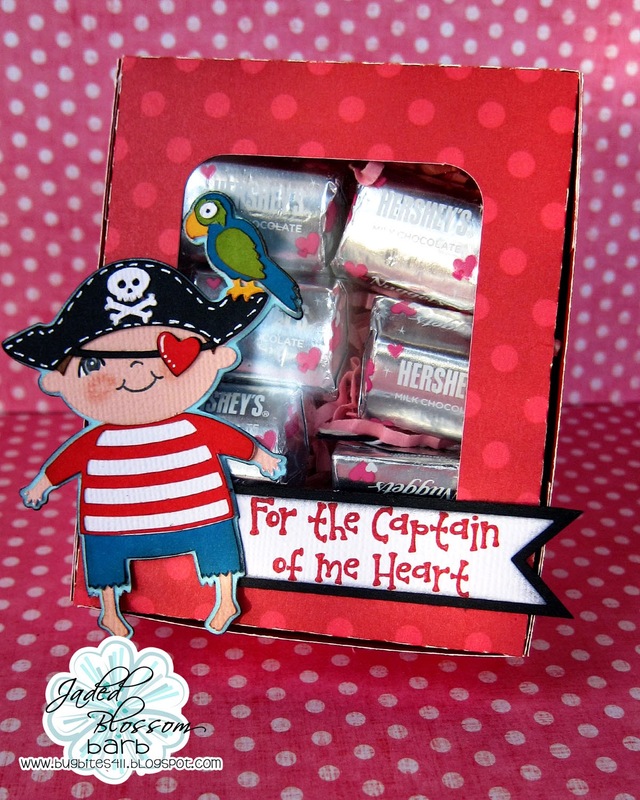 Barb here from BugBites with a cute Valentine's treat box to share with you. This little treat box measures about 3.5x4.25. Just big enough to add a variety of goodies. My pirate dude has been in my big stash of SVG files for quite some time but is a favorite. With my box put together and my pirate pieced, I just needed a perfect sentiment. Well, I found that in the Jaded Blossom Pirate Booty Stamps. I added that to a die cut using the Jaded Blossom Flag Die . For complete details on this little treat box, click here. I wish you all a crafty day! And if the disguise did not include mention of Lybernet timberland outlet uk Insurance (to avoid anachronism), this project is part of the company's management policy: challenges, transcendence, cheap timberland boots and fun. Lybernet indeed promotes sport, particularly of the race: nearly 20% of employees participate each year in BtoB race Angers, timberland outlet sale running for businesses.